Which iPad is the Best Choice? Apple may make their product lines easy to understand, with simple and consistent names, but there sure are a lot of iPad 2 models. Which iPad is the best choice? 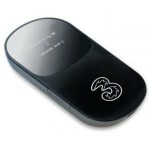 I picked the 32 GB Wi-Fi model personally, but I can see cases where others might prefer a 3G or base model. Let's consider it. The iPad 2 Model Lineup There are no less than 18 different iPad 2 models: 16 … [Read more...] about Which iPad is the Best Choice?